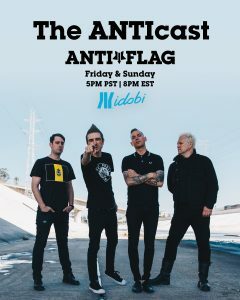 The ANTIcast is here to take over the world… or at least, our airwaves. 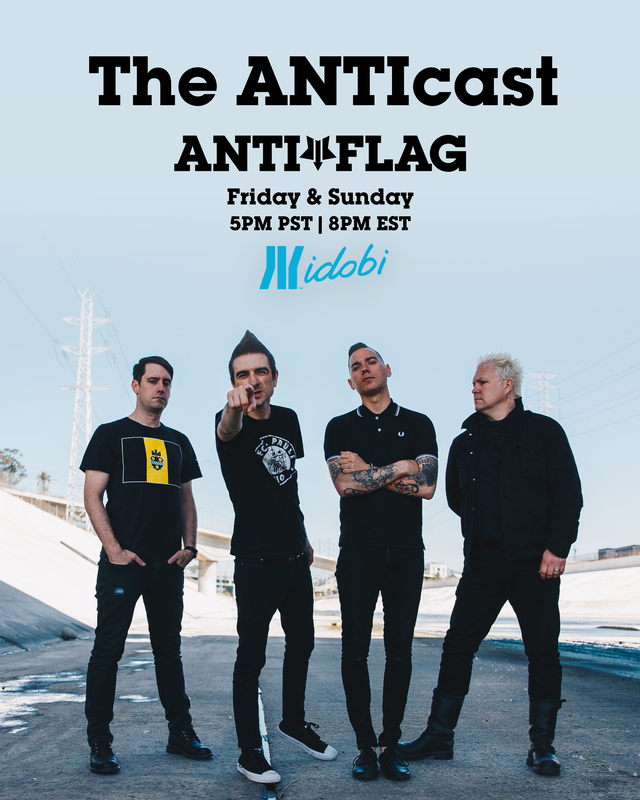 Hosted by your favorite punk rockers, Anti Flag will be broadcasting on idobi Radio every week to bring you world issues, music memories, and activism. It all starts this Friday (3/16) at 8pm ET, with an episode about gun violence. National Walk Out Day just happened, and March For Our Lives is coming up on March 24th, so the guys dive into the statistics, the arguments, and the discussion around one of the most important political discussions today. 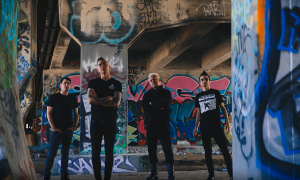 When the times get tough, the tough turn to punk rock, which is why we’re giving you the chance to get inside the activist icons’ minds. 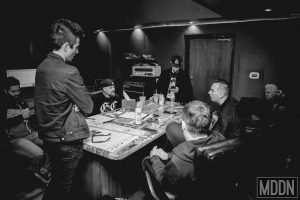 They’re here to share their thoughts, spark a conversation, and leave you with a craving for guitar driven tunes. 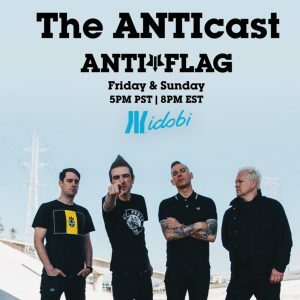 Tune in every Friday and Sunday at 8pm ET to rock with ANTIcast, only on idobi Radio!